Any watch can tell the time, but what about one that can give you time? The new Moto 360 Collection — with more styles, more features and more battery — offers countless design possibilities to suit your tastes, plus new experiences that will free you up to do more of the things you love. You’ve got unique style…so should your watch. You can customize your Moto 360 in the Moto Maker design studio. Now, choose from additional bezels, colors, materials, even a new double wrap band. Then get your personal creation in just a few days. Powered by Android Wear™, Moto 360 gives you complete control right from your wrist so you can stay in the moment, without constantly grabbing your phone from your pocket or purse. Get notifications and important info at a glance. Respond to messages with your voice. Start your car with the MyFord mobile app, then lock the front door with the Kevo app. Hail a cab to get to the airport with Lyft, then show your boarding pass at the gate with your Delta app. All without ever reaching for your phone. Plus, Moto 360 is WiFi-enabled, keeping you connected even if your phone is out of Bluetooth® range. The new Moto 360 exclusive Live Dials also make it easier for you to dive into the apps you use most with shortcuts right on the watch face. Moto 360 features Moto Body, a holistic experience that helps you lead a healthier lifestyle. Ever wonder how many steps you’ve taken in a day or how many calories that trip up the stairs actually burned? The new watches feature incredibly accurate sensors, so you can track your heart rate and the calories you burn. And that translates into valuable feedback and coaching to help you improve and stay fit. 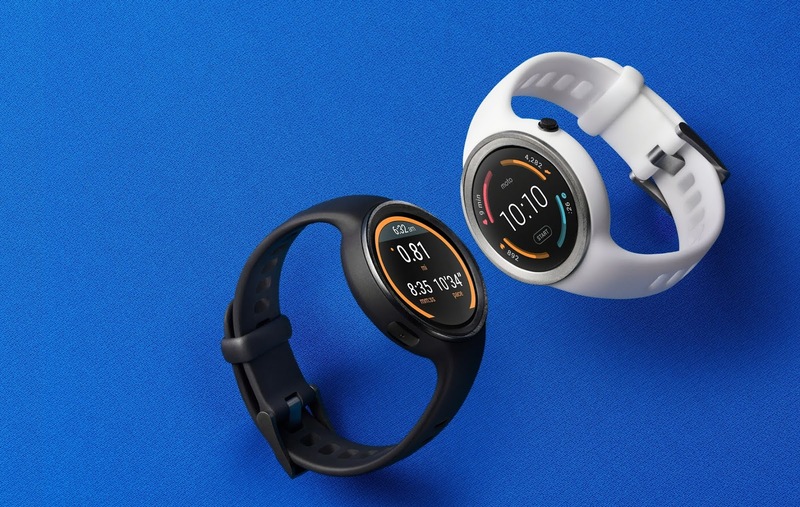 For fitness enthusiasts, there’s also a new Moto 360 Sport. With the new Moto 360 Sport, you can now leave your smartphone at home during your daily run. Built-in GPS accurately tracks your speed, distance, and pace, while a heart rate sensor tracks other important vitals. You can even store and play music right from your wrist, because we all need a good workout mix to push us during that last mile or rep. Plus, you can see all this information clearly, even in bright sunlight, with the new AnyLight hybrid display. Last but not least, the new Moto 360 and Moto 360 Sport has even more battery life than our first generation2, now offering up to two full days of use. Moto 360 will be available in various countries across North America, Latin America, Europe and Asia. Starting today in the U.S., you can pre-order your own Moto 360 on Motorola.com, Google Play and BestBuy.com. It will be available starting in late September at Nordstrom, Best Buy and Verizon. Availability and ship times vary by style. Prices vary by design and range from $299.99 - $429.99. We’ll share more details on Moto 360 Sport availability soon. 1 IP67 dust and water resistant—not waterproof. Not for use while swimming, diving or engaging in other underwater activities. Avoid prolonged exposure to water and/or exposure of leather band to water. 2 All battery life claims are approximate and based on an average user profile that includes both usage and standby time. Battery performance depends on network configuration, signal strength, operating temperature, features selected, and voice, data and other applications usage patterns. IMAGES: Downloadable, high resolution images can be found here (you agree to our http://stephaniefulke.blogspot.com /p/this-agreement-is-between-you-licensee.html">license terms when downloading images or video). we feel the information The New Moto 360 Collection: Giving you more choice with the watch that makes time for you that's all. hopefully the information The New Moto 360 Collection: Giving you more choice with the watch that makes time for you that we have conveyed can provide benefits for you and all visitors of this blog, if any criticism and suggestions please comment. 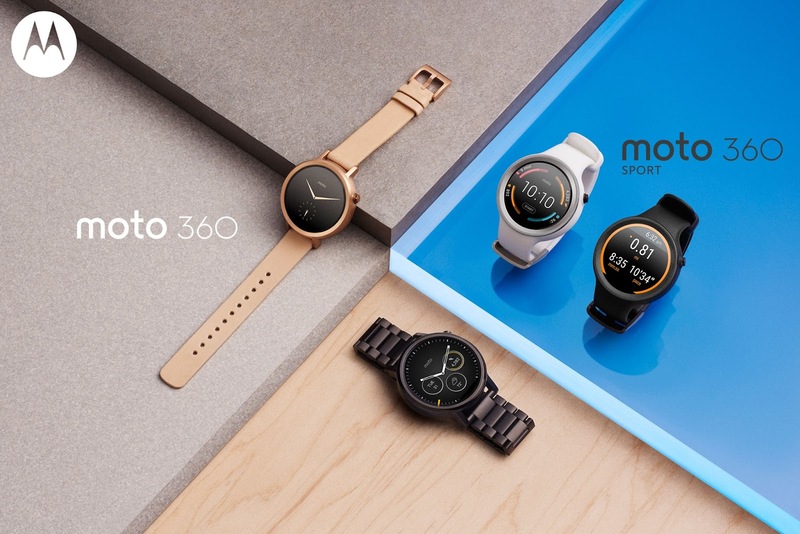 you just read The New Moto 360 Collection: Giving you more choice with the watch that makes time for you if this article is considered useful and you want to bookmark and share it please use the link https://stephaniefulke.blogspot.com/2015/09/the-new-moto-360-collection-giving-you.html and what if you want other information look for another page in this blog.